40 years of progress doesn't stop here. 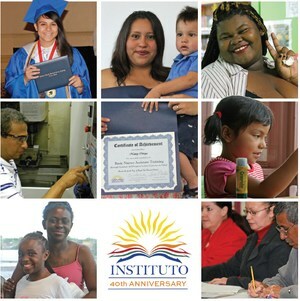 make your pledge to the campaign to build Instituto's Foundation for the Future. "As we reflect on Instituto's 40th year we are proud of the organization's history and bright future that we are building together. Progress doesn't stop here. As we move into our next decade, Instiuto is building on its legacy of serving every learner regardless of their skill level. The right education investments are transformative and have rippling effects that last generations. Your partnership is key to continuing this journey and delivering new opportunities to those who have the greatest untapped potential."